Is it time to replace your current vehicle? If so come take a look at the Toyota RAV4 near Portsmouth, NH. This efficient and practical crossover model is available as the standard or RAV4 Hybrid model. We have a large selection of new Toyota RAV4 models and frequently have used RAV4 models in stock. Browse our new and used car inventory online to see vehicle details, MSRP, trim options and much more. There are always dealer specials or factory incentives available on new Toyota or used cars. 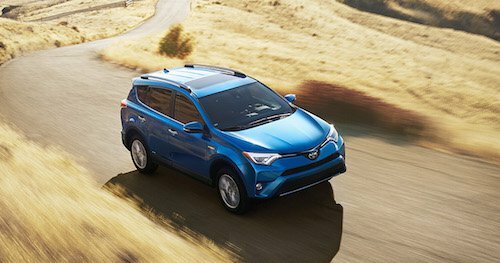 Just ask our helpful auto finance team to find the best special offer on a new Toyota RAV4 or used car. We will explain your auto financing options for buying or leasing and will arrange affordable monthly car payments. Please stop by, meet the team and test drive a Toyota RAV4 near Portsmouth, New Hampshire.